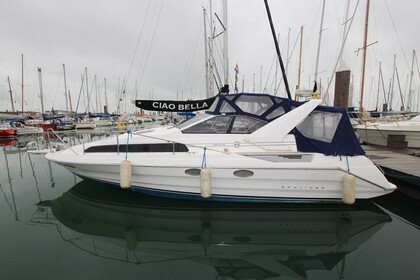 This Bayliner 3555 is from it's second owner and is in a good shape. It's located in Breskens. It has 2 Mercruiser 5,7l V8 which delivers 2x 220 PK. It has a fully equiped kitchen. you have a big front cabine and a large back berth. It is always stored in winterstorage at Breskens. Please contact me if you want to visit the boat.